John leaves behind a large family whose grief in his passing is surpassed only by its gratitude for his life. He is survived by his wife of over 60 years Sara Reaves Vaughan, his proud children: Cheryl Vaughan, John “Hank” Vaughan and wife Marybeth, and Suzanne Chapman and husband Lester Morrill, and ten extraordinary grandchildren: Beth (Jorge Ramos}, Sallie, Conner, and Jimmy Mack; Taylor (Hilary Hunter) and Jessica Vaughan; and Abby (Michael Russell), Trey, John, and Wade Chapman. John considered his brother’s children and grandchildren as his own: Debbie Vaughan and her children Andrew, Seth (Morgan}, Ansley, Mark Thomas, and Lydia Walker; Broderick and Barbara Vaughan and their children Colby and Kelby; and Vickie and Kerry Langston and their children Daniel, Jerrod (Brittany), and Amanda (Ethan Brown). His family also extends to step grandchildren and great grandchildren whom he loved as his own. John, a native of Okaloosa County, was a proud sixth-generation Floridian. He was born in Baker to Lucille Martyn Ray and John Henry Vaughan. He grew up in Crestview with his younger brother William “Buddy.” After graduating from Crestview High School, he received a BS in Chemical Engineering from Tulane University and MS and PhD degrees in Physical Science and Organic Chemistry from Lawrence University in Appleton, Wisconsin. John served in the Navy as a Naval Aviator and flew throughout the Caribbean. He spent his career with Inland Container Corporation, starting in Rome, Georgia, becoming senior vice president at the corporate headquarters in Indianapolis, Indiana. He also served as vice president of Harima, a Japanese joint venture. Upon retirement in 1995, he returned to his ancestral home on Garnier’s Bayou. At the time of his death, John was serving as a director of Plasmine Technology Inc., a specialty chemical company with headquarters in Pensacola. John was active in community and government affairs. He served as chairman of the Indiana Environmental Management Board, president of the Indianapolis Airport Authority, and Indiana delegate to the Whitehouse Economic Development Conference of 1978.He also served on the Indiana Science Advisory Committee and the Industrial Advisory Board to the Purdue University Schools of Science and Engineering. His community service included directorships on the Indianapolis and Okaloosa Symphony Orchestras, the New Hope Home for the Severely Handicapped, the Choctawhatchee Basin Alliance, Rotary International, Emerald Coast Archeology Society, and the Genealogical Society of Okaloosa County. He has the distinction of being twice awarded Indiana’s highest honor, Sagamore of the Wabash, by both Democrat and Republican Governors. John was an ordained elder in the Presbyterian Church USA and served as clerk of session in both Second Presbyterian Church, Indianapolis and First Presbyterian Church, Fort Walton Beach. 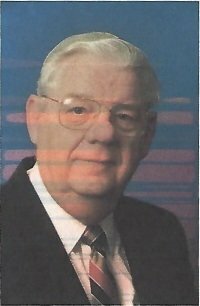 He was very active in his church as a Sunday School teacher, trustee of endowment, usher, and friend at weekly men’s breakfast. John’s professional societies and associations included Tau Beta Pi Engineering Honor Society, director and fellow of the Technical Association of the Pulp and Paper Industry, chairman of the Institute of Paper Science and Technology Research Advisory Committee, the Operating Committee of the National Council for Air and Stream Improvement, and the Institute of Senior Professionals of NWFSC.